Join us Saturday, June 29th and start out your day at the Sweet Grass Fest with a 5k run/walk. The race will begin at 8:30 a.m. in front of the Big Timber City Hall at 103 E 3rd Ave. Every runner gets a T-shirt! Registration is $25 before the day of the race or $30 the day of. 100% of proceeds go to support Montana on a Mission programs. Nongisho was born in the Orngoswa area in 1990. When she was six years old her mother died of a heart attack which left her and her four-year-old sister to care for themselves and their father. Two years later, tragedy struck again for the little girls when their father died as well. With no one to provide for them, the girls had to quit school and move in with a relative. Throughout Nongisho’s life and for all time and generations before she was born, the people of Orngoswa have had to ‘hunt’ for water. The water they find these days is several miles away for most and far from clean. The water that the community uses is also the source for livestock and wildlife. We are so very thankful and excited to have a new ministry resource available for the Maasai. In November of 2018, Life Ministries premiered the “Jesus” film and “Magdelena” in the Maasai language. 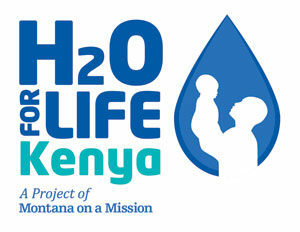 This resource allowed for some amazing ministry opportunities during our last trip to Kenya. Each night, we gathered together outside of a traditional Maasai home under a blanket of stars. Thanks to an incredibly generous donation we were able to give out Maasai language Bibles to the families that joined us and were able to supply several pastors with Bibles for their congregations. We are working with two new communities that are in desperate need of water. We visited and met with both communities in November and have voted to move ahead with drilling and providing them with water as soon as possible. Ropile is a rural community of approximately 800 people. The area is on the plain, neighboring a wildlife conservancy. 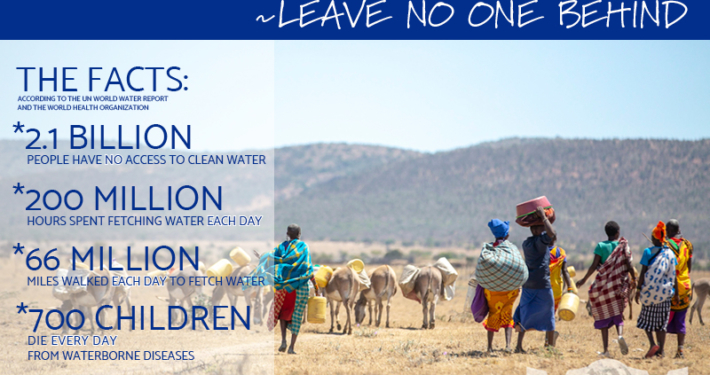 The women not only walk more than 2 miles each way to collect water (from a contaminated source), but they must walk through the bush in the conservancy and often encounter dangerous animals! The area includes two small schools of 120 students. The community of Emurua Dikkir is in dire need of a clean water source. Several small seasonal springs exist in the area but most dry up during the dry seasons and the remaining spring can’t provide adequate water for the people, livestock and wildlife. The future borehole will provide clean water for an estimated 2300 water users in this area, including a school of 300 students. We are currently feeding 126 students a healthy lunch including meat, rice and fruits or vegetables each day at the school. The students’ weights and heights are measured at regular intervals to ensure they are healthy and growing! Food prices are on the rise in the Philippines as they are everywhere, but we can currently feed each student for $.71 per meal. With the support of donors, we were able to provide each classroom teacher with a stipend to throw a Christmas party for their students. The photos and videos we received show how much joy it brought to everyone! Montana on a Mission’s most recent clean water projects in rural Kenya, where there is an extended drought, were a huge success! 12,000 people now have access to clean drinking water for life, and 3 schools have clean water on site. We do what we do because God has blessed us! We want to be His hands and feet in this world. Our hearts break when people don’t have water, food, clothing or shelter. We are not a relief organization, or at least not in the typical sense. Most of our work is done in communities where we have established relationships and we always go as learners and not just doers. We work with people in partnerships where we come alongside those in need and allow them to come alongside of us.